Help create memories and promote your logo with these practical picnic sets. Combining the practicality of a cooler bag and a picnic blanket to bring you this useful gift. Grab and go for quick picnic outings and outdoor adventures. They are made from 600D Nylon with a rubber carry handle and black fleece blanket. 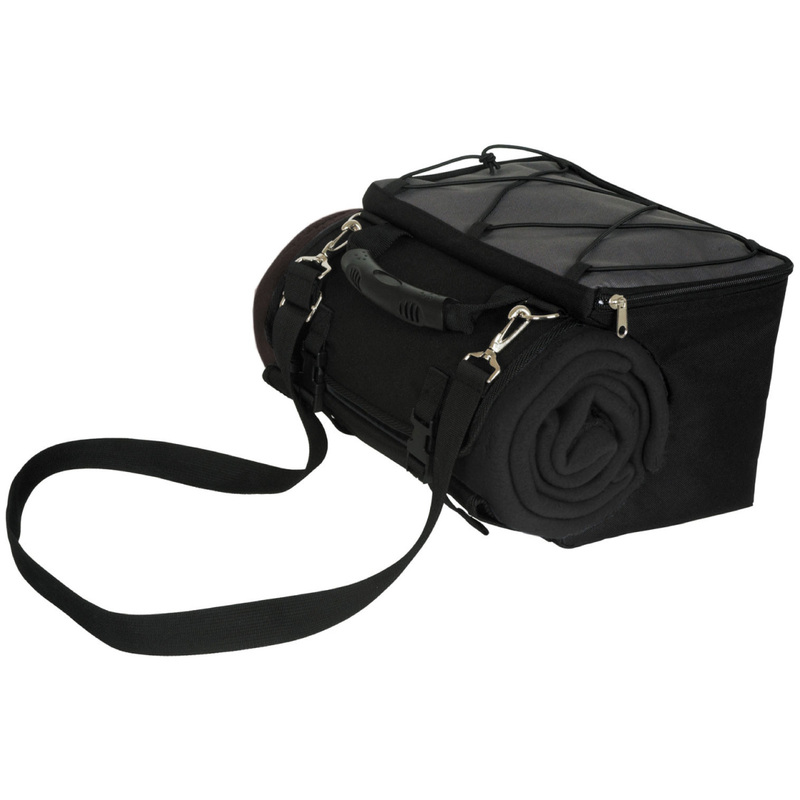 The cooler has a large main compartment with zip and contrasting coloured front zipped pocket. 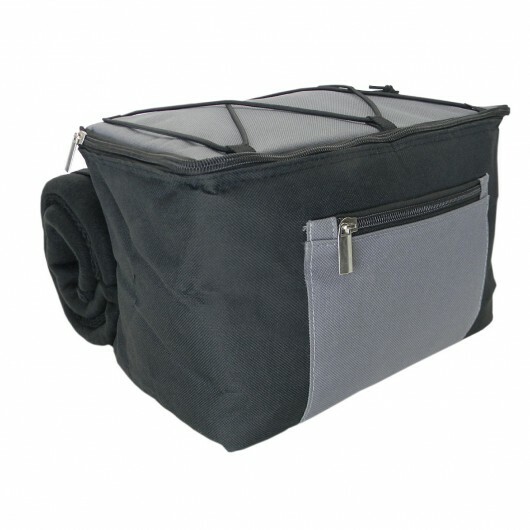 The blanket fits snugly onto the back of the cooler bag and can be easily adjusted with the storage flap and adjustable buckles.